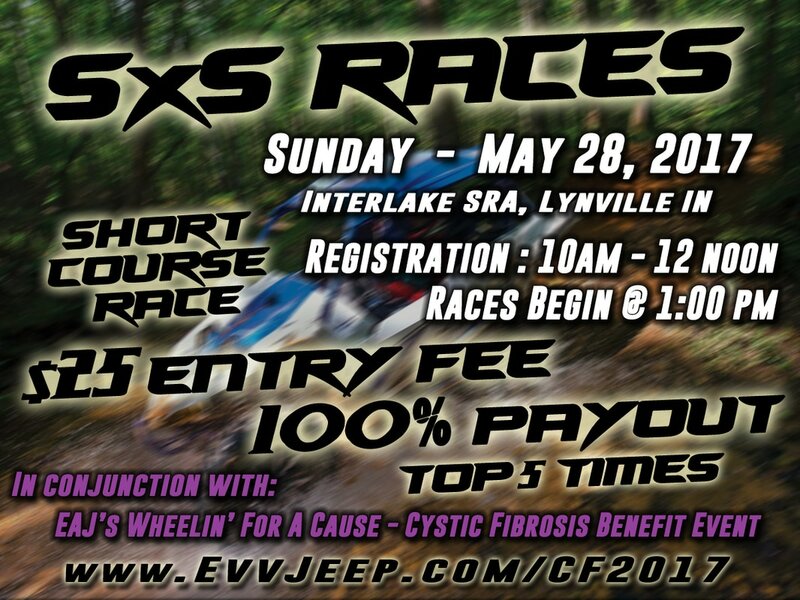 Join us Sunday afternoon for the area's first 100% Payout SxS race! This event will be in conjunction with EAJ's Wheelin' for A Cause (click here for more information). Short Course Race format with course selected by Timmy Chuck Racing's own Timothy Sorensen. As owner of SRRS rock bouncer 'Hillbilly Deluxe' riders can expect to see a course that will provide a little bit of everything. Pre-Register by clicking below. 1 Race Ticker per Driver Required. Regular Park Admission to Interlake SRA is still required at the park gate.